Protein shakes and smoothies seem to be so common these days, you can’t open a magazine or scroll through Pinterest without coming across some new delicious recipe that people say you just have to try. I’ve drank protein shakes and smoothies here and there since I was in college and had some stomach problems that caused me to be on a special probiotic-packed protein powder. Through the years thou, they’ve kind of gone in and out of popularity with me. They’ve always been there for me though, whether as a go-to meal replacement when I’m too tired to cook or a post-workout snack. Because of the high intensity types of workouts I have favored doing the last couple years, I have found the need to add in these smoothies more often to get an extra dose of good protein in. To get the most out of my smoothies, I rarely use just a fruit and milk smoothie anymore, but usually add two or three additionally protein sources to it like yogurt, nut butter and protein powder. 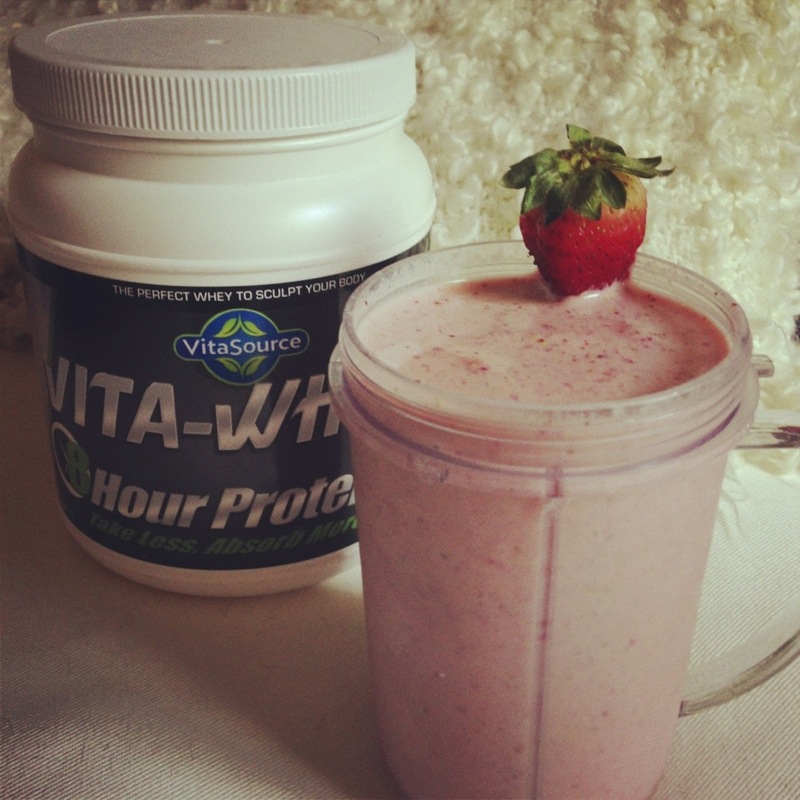 I feel like I’ve tired almost every kind of protein powder out there, but for the last year I’ve been using this Vita Source whey-isolate protein powder that I absolutely love, and my stomach/digestion loves too. It is almost flavorless, but dissolves so completely in water, I will drink the two together after/during every workout. No chalky texture! I will use whatever nut butter (usually almond) I have on hand, but my friend Lindsay recently told me to try powdered peanut butter. 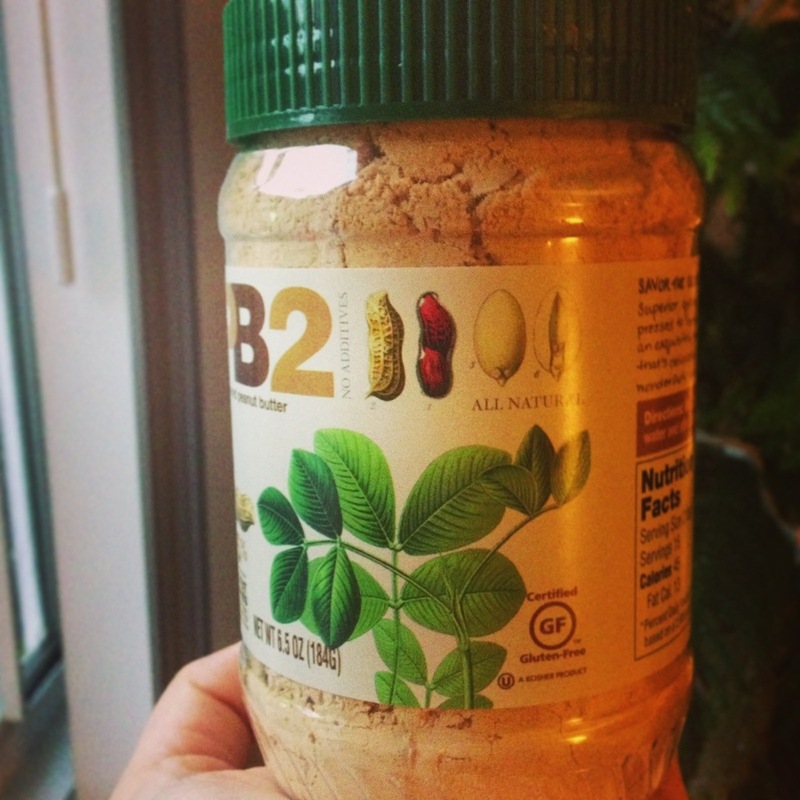 I found a brand, Bell Plantation’s PB2, at my local Whole Foods and am so glad I did, because it’s great! It has 85% less fat than regular peanut butter and no saturated fat. Plus it is way easier to dose out (though I do miss licking the spoon after added a glob of gooey almond or peanut butter). Finally, my favorite store-bought yogurt, I’m happy to say, is Fage reduced fat plain Greek yogurt (though Chobani is a good second favorite). It’s just light enough being reduced fat, but still has this wonderful creamy texture and just a bit of that Greek yogurt tang that is so good. If I can’t get homemade yogurt, this is my top choice. I’ll frequently put all of the above into one smoothie with some fruit and almond or coconut milk, sometimes going green by adding wheatgrass powder, chopped kale or spinach. My favorite is the Stra-ban-nutter, also known as the classic flavor combo of strawberry, banana and peanut butter. Since I am still totally loaded with strawberries right now, I am having one a few times a week! What proteins do you like to use in your smoothies?